Of course, I’m the first one here! Like I don’t have better things to do. After another won wrestling match, Potato is celebrating his birthday like a rock star. When in NY, I always feel like I’m halfway through a cup of coffee I didn’t need. After being on the plane for 6 hours, jet setter Munchkin freshens up in the bathroom. Flávio sneaks into the bathroom and steals Munchkin’s costume. Munchkin, what have you been drinking on the plane? You sound like Flávio! At the party, Flávio pretends to be Munchkin. He sees Tiger sitting alone and tries to seduce her. Tiger is confused about Munchkin’s advances. Sonny who always brings his favorite chair is disappointed. His secret lover Prissy is not there. The mask he’d brought for her to encrypt her identity is now useless. Thank God I wore black! Adequate for birthdays and funerals! Sparkles hears Munchkin scream and rushes to the bathroom. She quickly grasps what’s happening. Ready to confront Flávio, she puts on boxing gloves, she always carries in her purse for protection. 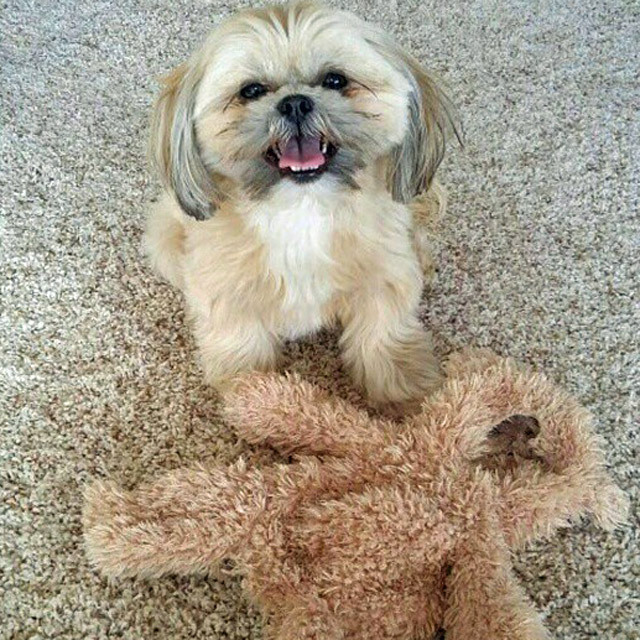 I shihtzu not! Fluff that. I’m out! Scruffy overhears the conversation between the two in the bathroom and quickly heads toward the exit. What you mean it ain’t a costume party? On his way out, Scruffy runs into Underboss Memo of the Ohmydoggies family. Memo, dressed as an exotic tango dancer, brought a rose for Tiger. Thank you all for coming. We have a problem. Memo informs the rest of the family. Skyler, Frances and Memo meet in the basement of Potato’s house.